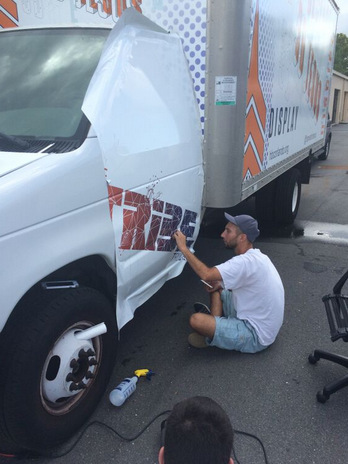 Harvest Bible Church Vinyl Wraps The Tribe Truck in Orlando! 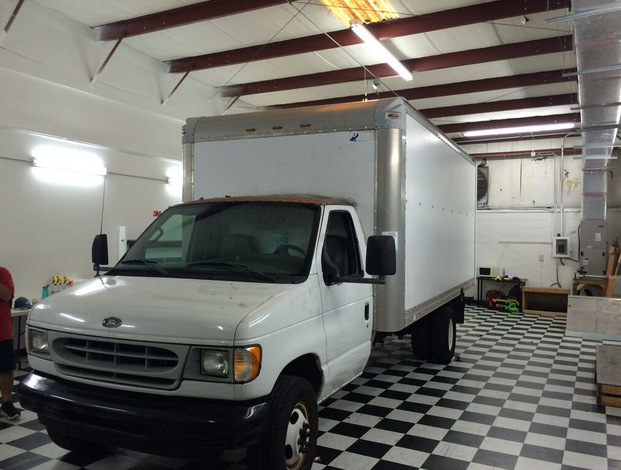 Many businesses and other organizations approach vehicle graphics as a long-term investment. And, in many ways, that is just what they are. However, they can also be quite useful for your short-to-mid-term advertising campaigns. Harvest Bible Church realized this, so they contacted the friendly experts at Citrus Sign Studio for box truck wraps for churches in Orlando. What Is Harvest Bible Church? Located on Chase Road in Windermere, Harvest Bible Church is one of the newest churches in the Harvest Bible Fellowship, which has almost 20,000 members attending more than 30 facilities throughout North America and overseas. The local church began in 2007 when eighteen believers gathered to pray and discuss the possibility of beginning ministries. By January 2008, they were up and running. Today, they have a respectable membership, and they provide services and outreach to disadvantaged people in the community. A look at the old wraps. Removing the old vehicle wraps. A fresh canvas to work with! When an organization that provides such a valuable service to our area came to us for a box truck wrap, we were more than happy to help. The Harvest Bible Chapel Tribe Truck is essentially a member of the church. It is an icon and beloved symbol of the congregation and the community. It travels around town hauling goods for the community and equipment for events. 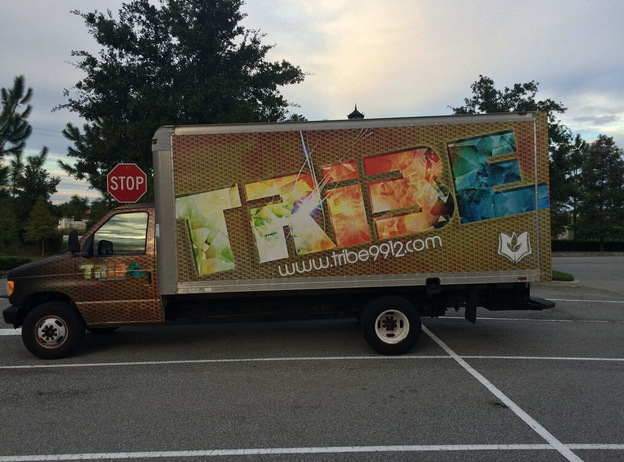 It was our job to design a new look for the Tribe Truck featuring the sermon theme for 2015-2016. 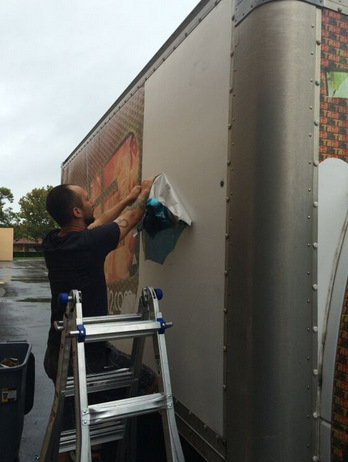 Fortunately, they contacted one of the best sign shops for box truck wraps in Orlando. Design and prepping the wraps. Harvest Bible Church needed us to take care of every step of the process from removing the old wrap to installing the new one. But, first things first, we needed to create a design featuring the sermon theme: “3D Jesus.” The 3 Ds are for declare, display, and disciple. We were given free reign on the design. We just needed to incorporate their branding. 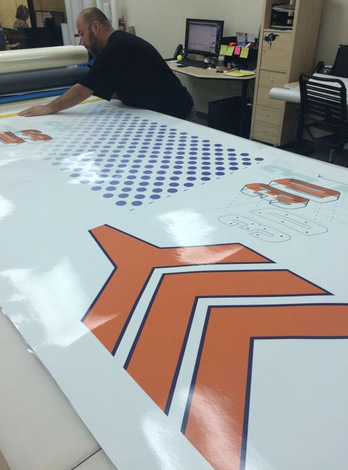 As you can see, our graphic designers had a lot of fun creating this cutting edge wrap. Once we were done with the design and got Harvest Bible Church’s approval of the vinyl wraps proofs, we got down to work printing it. 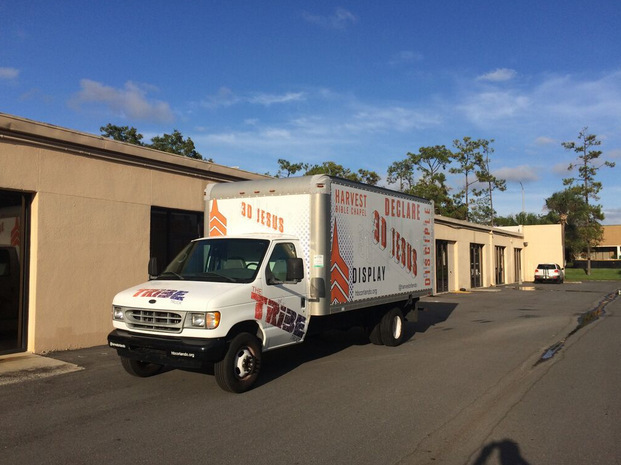 When the graphics were ready to be installed, we worked with their schedule to get access to the truck. We had to work quickly removing the old decals and replacing them with the new. In the end, our client loved the finished product! 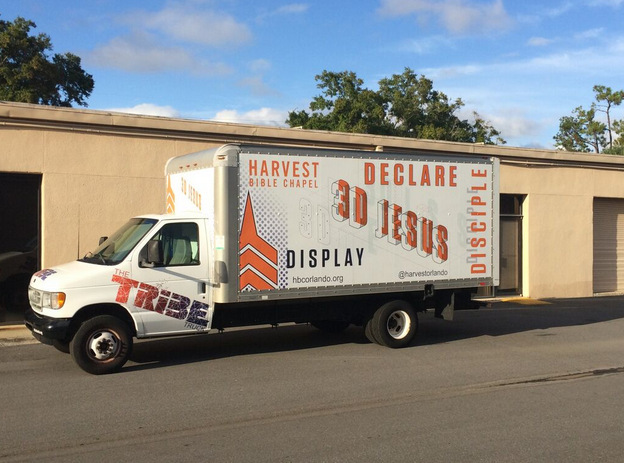 Now, as the Tribe Truck travels around town, it will entice passersby to learn more about 3D Jesus. Do you have promotions or themes for your enterprise that change every few months or every year? A great way to advertise these events is with vehicle graphics. Based on the length of your marketing campaign, we can recommend different types of vinyl that are more cost effective for short term usage. And, as a full-service sign company, we do it all for you. We can even help you with maintenance and repairs to your wrap. Are you ready to learn more? Contact Citrus Sign Studio today for a free consultation!